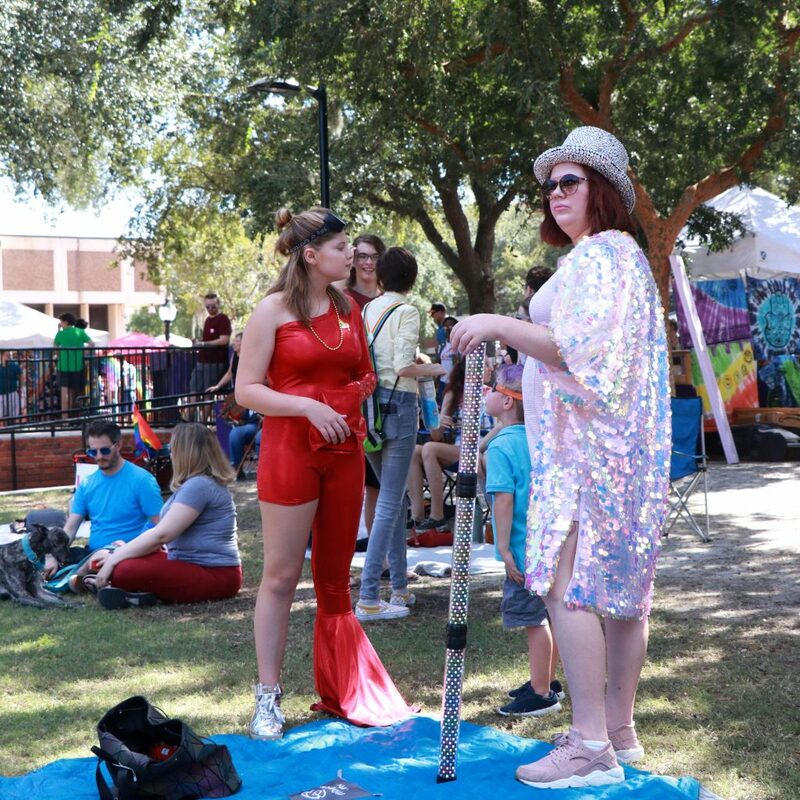 Caitlin and Emlyn Arner model their festival outfits during Saturday’s Pride Festival and Parade. 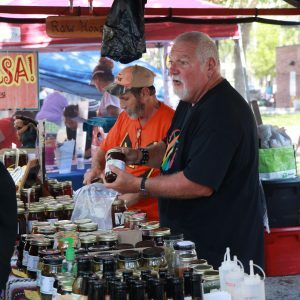 Bobby Keen and Andy Riess sell jars of honey and salsa at the annual Gainesville Pride Festival and Parade on Saturday. 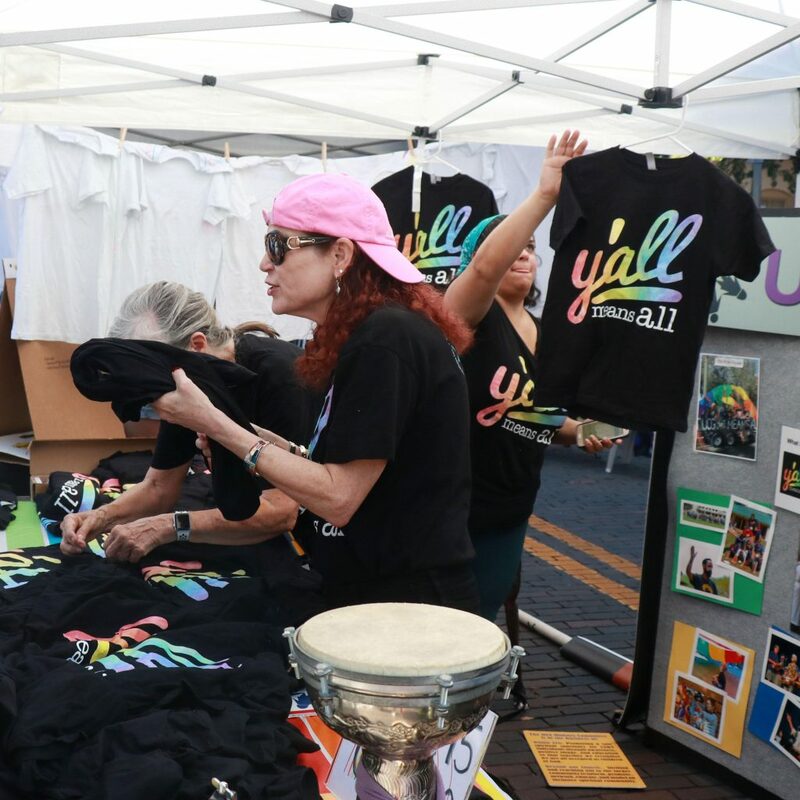 Adriane Isenberg and Elizabeth Husband sell “Y’all means All” t-shirts at one of the many small businesses that were in support of the Pride Festival and Parade. Three photos? Easy there, not so many next time.